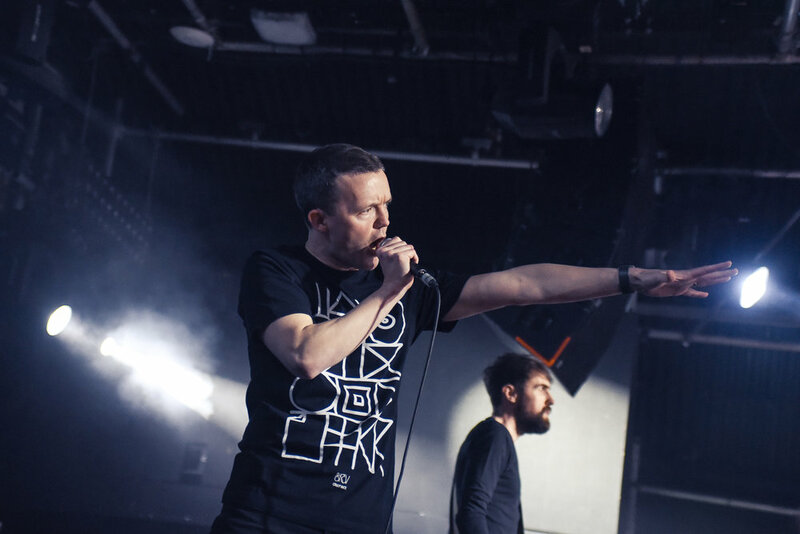 Think back to December last year, The Slow Readers Club played their biggest ever headline gig at the O2 Apollo in Manchester, to a sold-out 3500 capacity crowd. 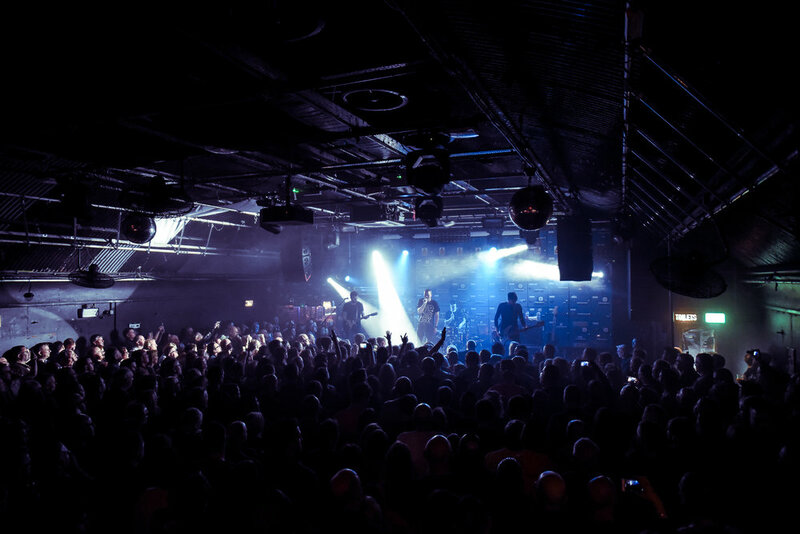 A couple of months later the band have just finished a huge tour across the UK, and next week they tackle Europe! 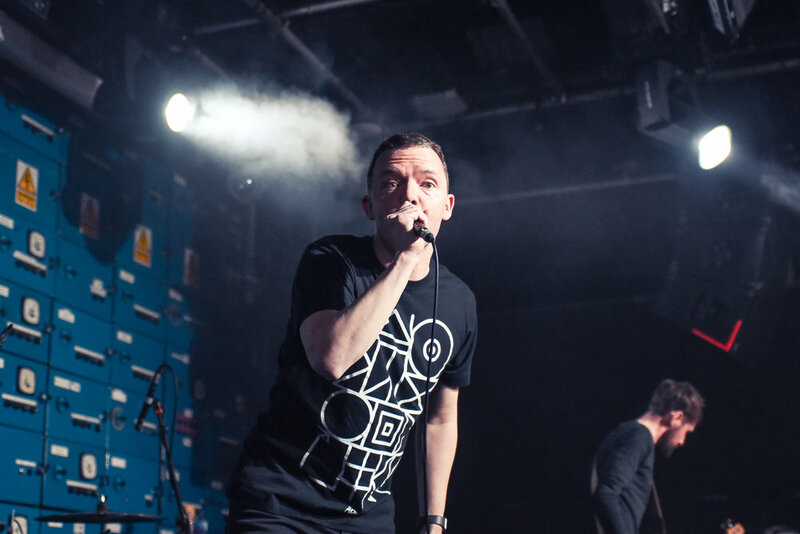 The band haven’t had it the easiest whilst making their way to the top, this is the first year that The Slow Readers Club have been a full-time band, the first year that they have been able to tour properly and the first time they’ve been able to throw everything they’ve got at becoming a successful band. Three albums in, most bands are headlining festivals and doing arena tours by now, but The Slow Readers Club have done things differently. With the support of a very loyal fan base, this has helped the band stay afloat over the years, but they’ve all still had day jobs up until a few months ago. It’s difficult to say why The Readers are only just getting the attention they deserve three albums in, as this band really have it all, but I guess the best way to put it is that there’s still thousands of people out their who are yet to discover this absolute treat of a band. The Readers are incredibly talented, perform with passion and have the anthems to go with it, so why has it taken this long? It’s not hard to recognise that they’re currently one of the most hardworking bands in the industry. 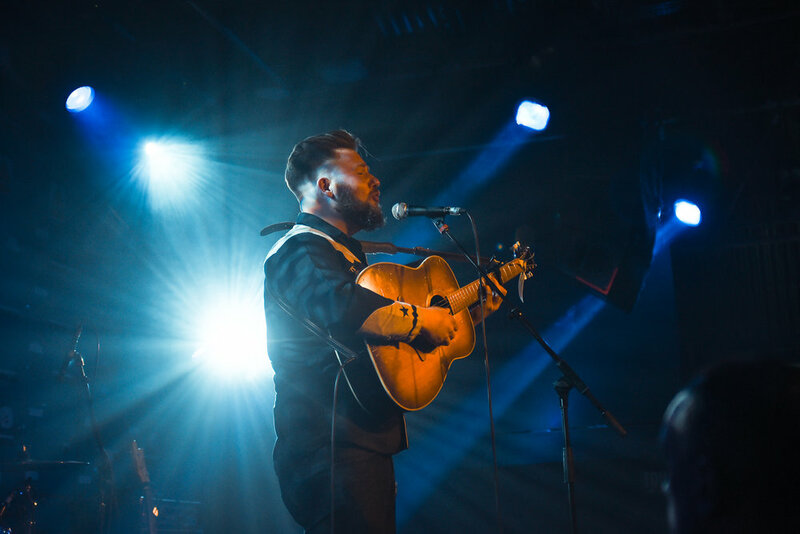 The intimate gig came following their biggest headline tour to date, it was also the first gig in the city since their monumental Apollo show last year, this was the homecoming everyone wanted tickets for. Those lucky enough to bag tickets were also able to enjoy the launch of the bands limited edition beer, ‘Slow Brew’. With fans drinking the signature lager throughout the night, along with wearing their merchandise and starting ‘Readers’ chants, which came frequently throughout the evening, the fans were out in full force. 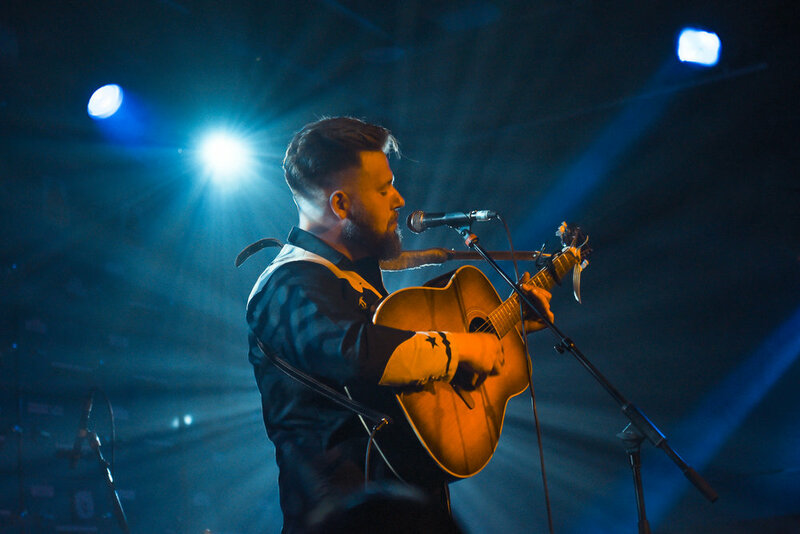 Support came from local singer songwriter Liam Frost, who played a half an hour set equipped with only an acoustic guitar and harmonica. 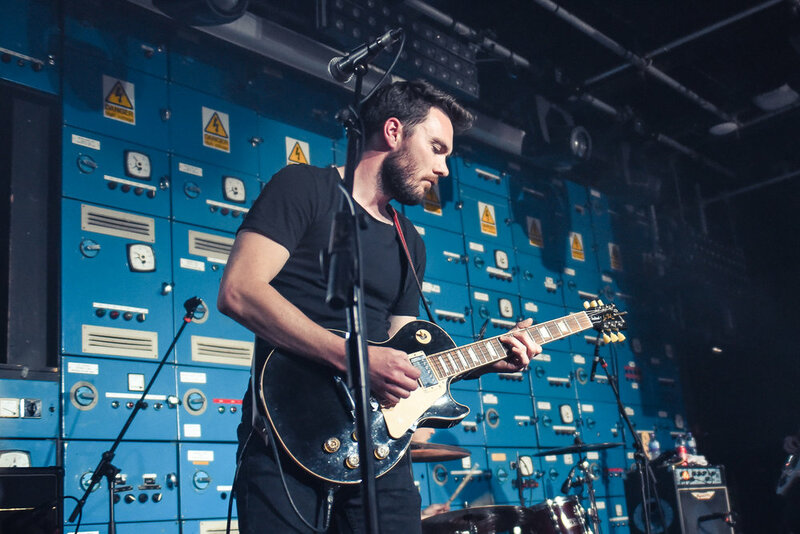 Addressing the support slot as a “huge honour”, Liam Frost settled the crowd with witty jokes and swaying melodies. The ‘Slow Brew’ was flowing as fans reunited with pals, most likely friendships that had been formed through following The Readers, it wasn’t long before we got what we were waiting for. Coming out to ‘I Feel Love’ by Donna Summer, the crowd were ready to go. 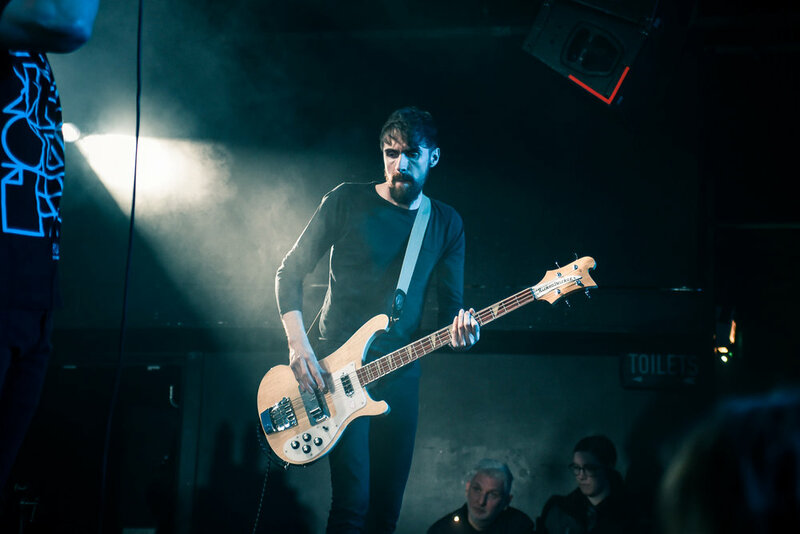 Starting with the captivating single and album opener of latest record Build A Tower, ‘Lunatic’, it set the bar whilst giving us clarification that we were in for a good night. Admitting to changing up the set to stop the band from “going out of their minds” during the lengthy tour, the set continued with a mix of the bands most iconic songs from all three albums. 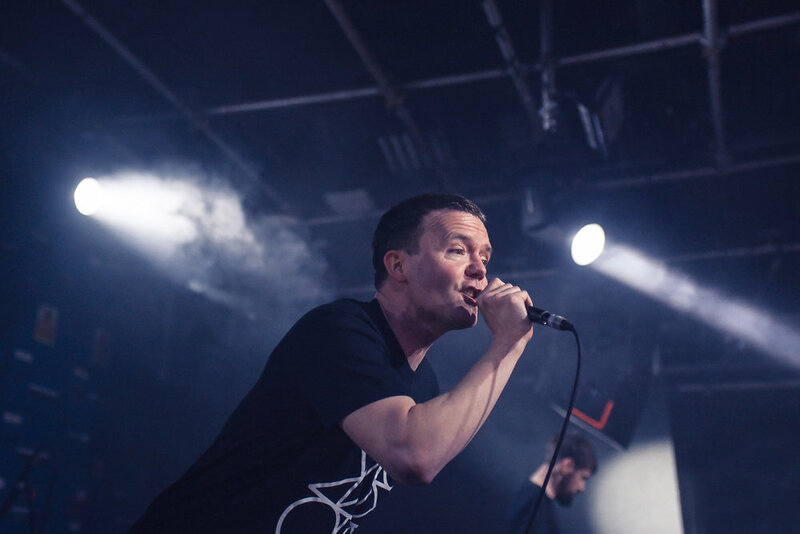 The lighting set up was the most prominent I’ve ever seen at Gorilla, because of the low capacity, the general vibe of the venue is low budget, but The Slow Readers Club lit the room as if they were playing an arena. 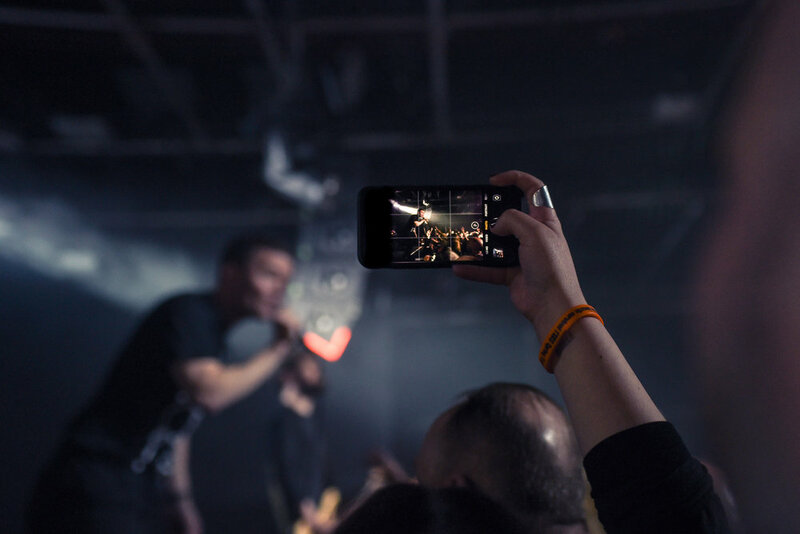 Their confident stage presence is well practiced by now, with singer Aaron Starkie bouncing around the small stage and interacting with fans down the front who were replicating his hand movements and singing back with passion. 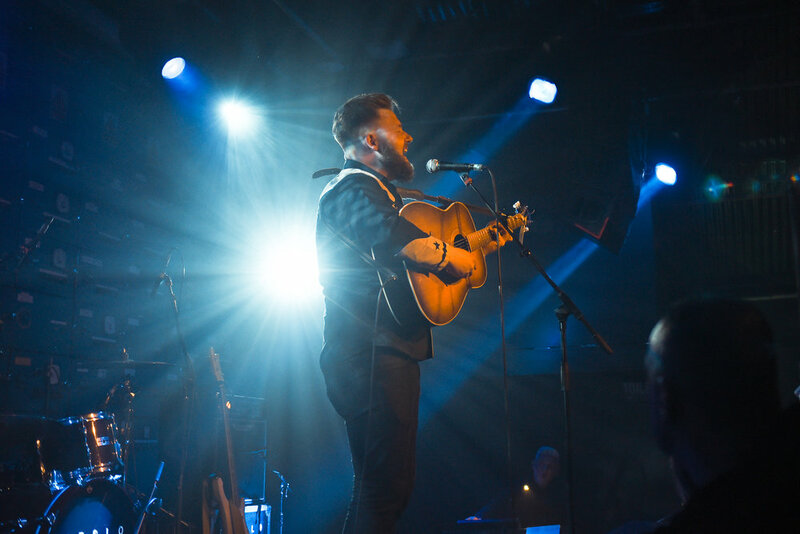 Mid-set ‘Through The Shadows’, ‘You Opened Up My Heart’ and ‘Plant The Seed’, formed the perfect order to get the crowd moving, before playing a new song titled ‘The Wait’. 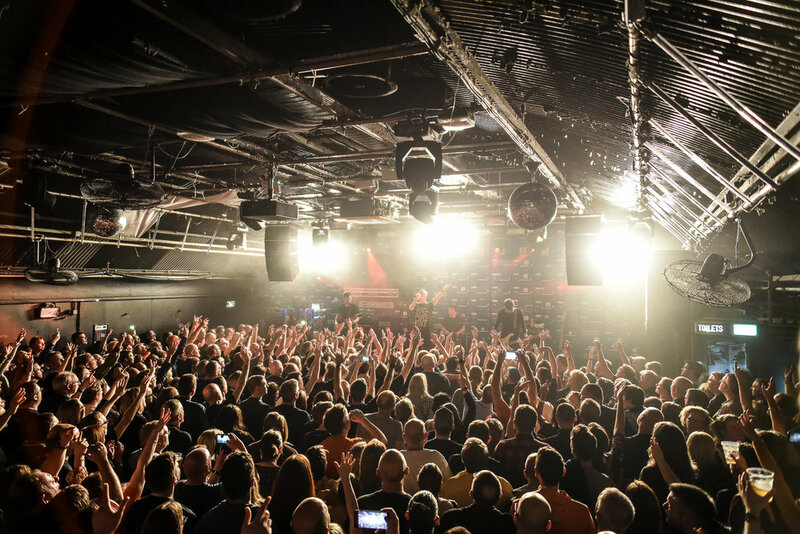 Due to the nature of the gig, and logistics of the venue, the band announced they weren’t going to do a traditional encore and instead they would just be playing four more songs. Although having already played 16 songs, the encore came around far too quickly. ‘Distant Memory’, ‘Feet On Fire’ and ‘I Saw A Ghost’ were played before going into ‘On The TV’, which is one of The Readers most powerful and lyrically significant tracks, being a sing-a-long anthem, it’s an ideal song to end on. 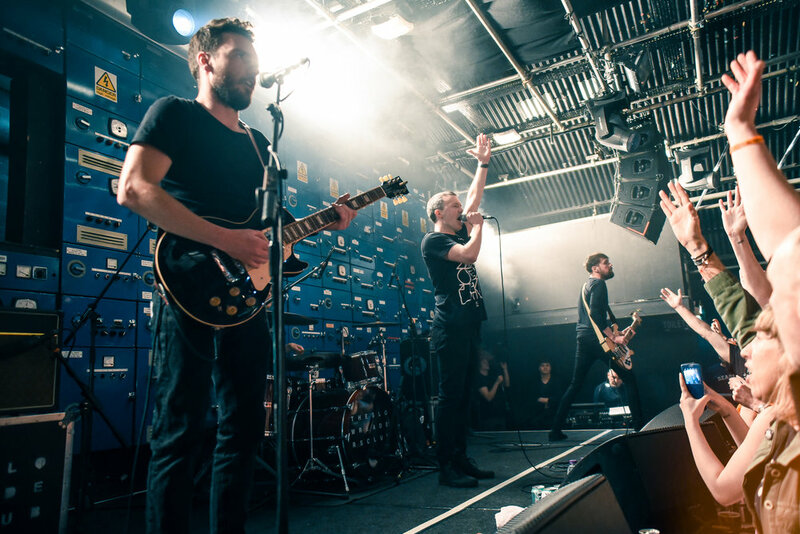 Even after releasing three albums, selling out shows and creating a huge Manchester following, The Slow Readers Club are an incredibly modest band. Although it’s still only the beginning, it’s hard not to be happy for the band, who have worked so hard to get to where they are, and mostly off their own back. 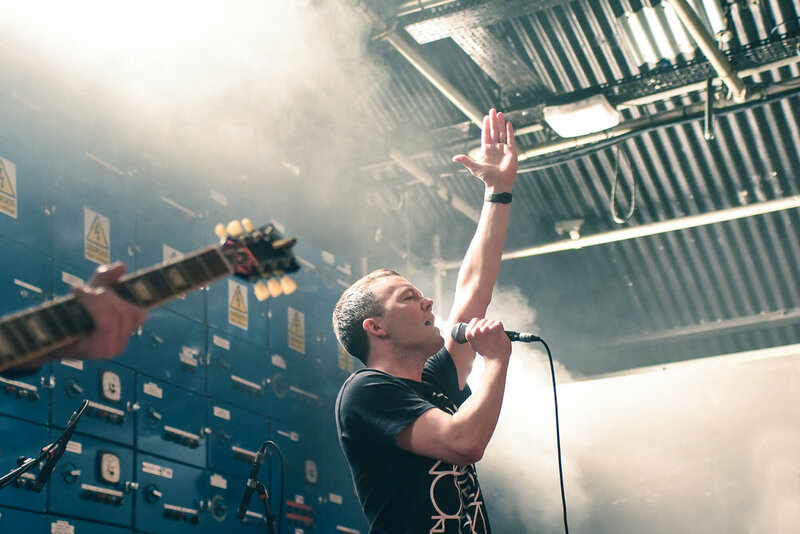 Hardly giving themselves time to rest, The Slow Readers Club will be heading out on their European tour next week. You can also catch them at various festivals across the UK this summer. In the meantime, tell all your friends to go and give them a listen, because I’m sure they won’t be disappointed!